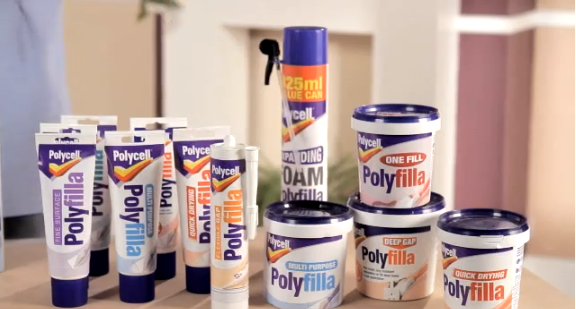 Polycell Wallpaper Stripper makes wallpaper stripping easier and faster. It penetrates the wallpaper and dissolves adhesive to actively release the wallpaper. Unlike steam strippers, it does not damage plaster. The concentrated formulation makes enough to strip a large room. 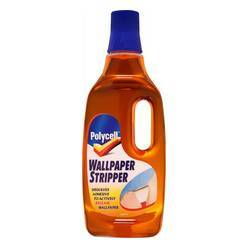 Penetrates wallpaper, dissolving adhesive to actively release wallpaper. Concentrated formula, enough to strip a large room. ToolsBroad bladed stripping knife, scoring tool, dust sheets, bags for disposal, brush or sponge and safety glasses. Add 1/2 the contents to 16 pints (9 Litres) of cold water. Cover all furniture and fabrics. Score surface of washable or painted wallpapers. Vinyls should be peeled off to expose the backing material. Brush or sponge wallpaper stripper solution onto the surface generously, ensuring an even covering. Leave it to soak in for 5-10 minutes. Strip with a broad bladed stripping knife. If necessary repeat until all paper is removed. brush or sponge and safety glasses.